As suggested in issue #1823. This is very handy to emulate screen sizes on desktop, without having to use the android emulator. E.g. set the resolution to 800x480 and set overrideDensity to 252 to emulate a 3.7 inch phone display with the same resolution. This is very handy to emulate screen sizes on desktop, without having to use the emulator. E.g. 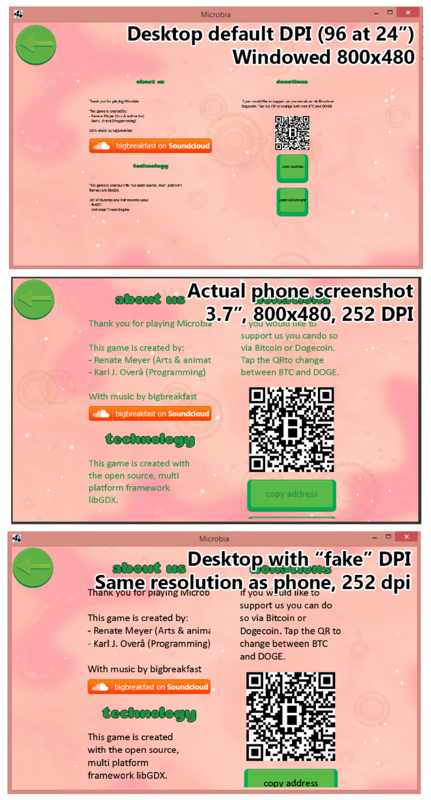 resolution to 800x480 and set overrideDensity to 252 to emulate a 3.7 inch phone display with the same resolution. Looks good, i'm adding a note to CHANGES as well.